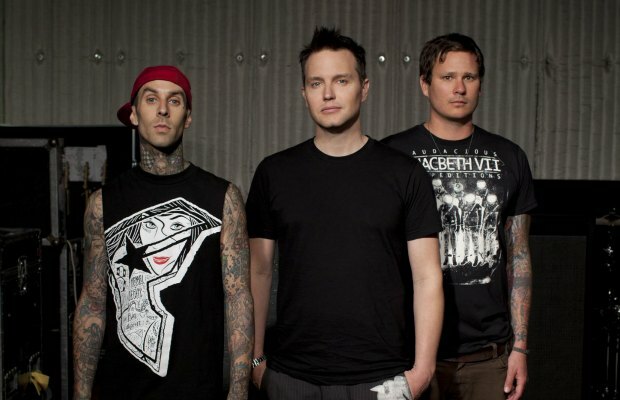 ORIGINAL POST: Blink-182 have, for the past couple of days, been teasing something in relation to their untitled, 2003 album, which turns 10 next month. It is unknown whether the news will come in the form of a re-release, an anniversary tour, or some combination of the two. However, in a recent interview with AbsolutePunk, Blink bassist Mark Hoppus did admit that the band would be open to doing a 10-year tour. The rest of the clue appears to be some sort of GPS coordinate. Though we haven't definitively determined the meaning of “101167,” 34.098007°N 118.32421°W are the exact coordinates for the Hollywood Palladium in Los Angeles. What do you think this means? An announcement tomorrow on KROQ? 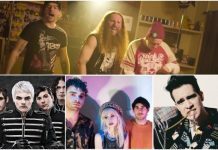 A 10-year, Untitled anniversary show at the Palladium? More shows, a re-release, or something different entirely? Let us know in the comments! EDIT: As many have pointed out online and in the comments, 101167 is the hex color code for a blend of cyan and magenta, the two colors featured prominently on the cover of Untitled and in all of the teaser posts. Do you think this is the final piece of the puzzle, or a coincidence?